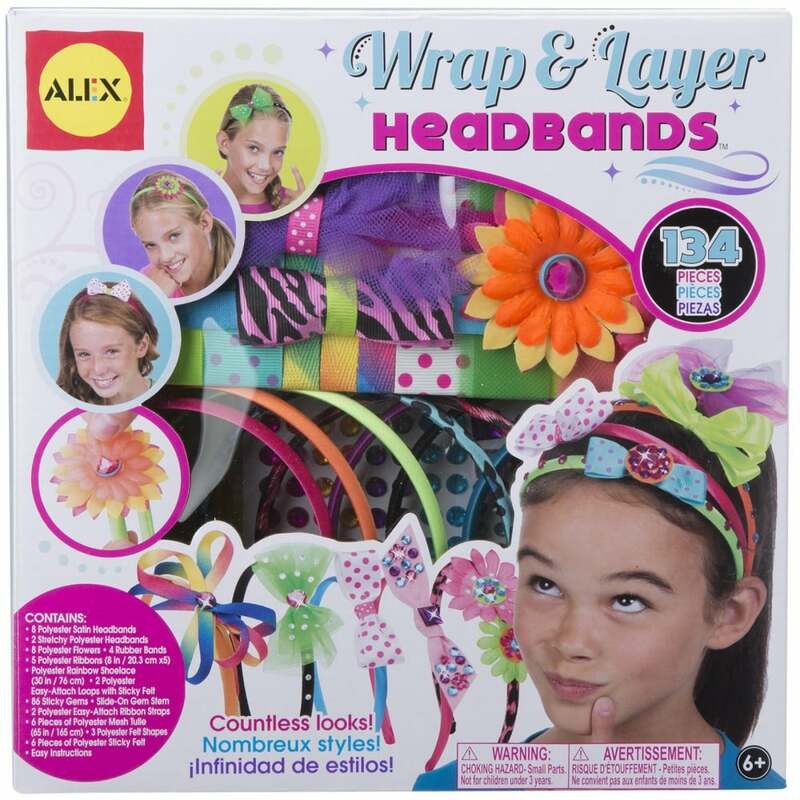 The Wrap & Layer headbands kit lets you create hair accessories that are as unique as you are! Slide, layer, wrap and stick the supplied decorations to your band to create something only you could imagine. The kit contains 134 pieces for you to create 10 headbands, great for swapping styles and designs with your friends, ideal for gifts, parties, sleep overs and rainy days. Build bows, jewelled headbands and pom poms, slide-on gem stem and easy-attach ribbons allows you to create different looks again and again! The kit includes 8 polyester satin headbands, 2 stretchy polyester headbands, 8 polyester flowers, 4 rubber bands, 5 polyester ribbons (8 in), polyester rainbow shoelace (30 in), 2 polyester easy-attach loops with sticky felt, 86 sticky gems, slide-on gem stem, 2 polyester easy-attach ribbon snaps, 6 pieces of polyester mesh tulle (65 in), 3 polyester felt shapes, 6 pieces of polyester sticky felt and easy instructions.